The rain clouds circled threateningly as I arrive in Beccles but nothing could dampen my spirits. 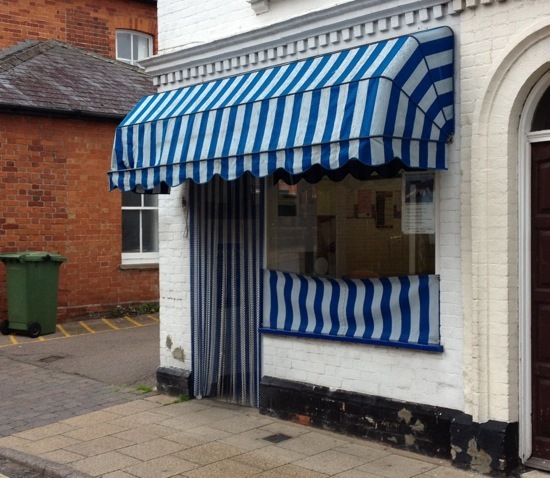 People rave about the butchers in Beccles although opinion is split as to which is the best. This is often the case in market towns. Talking to people as I strolled round was fascinating. The passion people have towards sausages never ceases to amaze me! Beccles, a fairtrade town, has a moto of “Prosperity through Fidelity”. I certainly got a sense of loyalty when talking to some locals about the best sausages in the town. 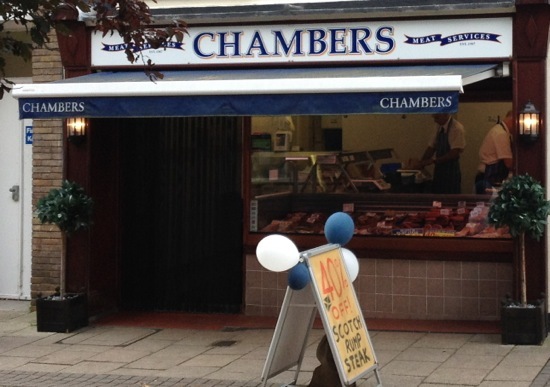 First up I visited Chambers. Chambers seemed to be doing a good trade with customers coming and going. A pound of sausages was £2.85. 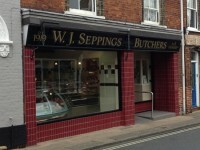 Seppings was up next, probably the best known butcher in Beccles, at least the one amongst the people I know. An impressive looking shop (they have another branch in the town too). They have a nice system whereby the butcher doesn’t handle your money. He sorts out your order and then passes you the meat and a number which you take to another desk to pay. Here a pound of sausages was £2.82. After a nice stroll around I arrived at my final stop. Bob Knights. Here the pedigree of the pork was proudly on display with a sign saying they sold Blythburgh free range pork. Here a pound of sausages was around £3.28. So to the best part, the tasting. 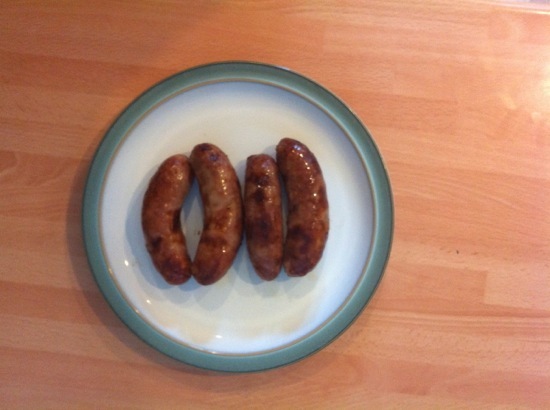 To aid me in my task I roped in my wife and the two Sausage Princes. A true gender and age cross-section! As usual I went for grilling for those all round crispy skins I’m such a fan of. In each case we sampled the sausage first without relish or accompaniments. Straight to the flavour! On first impressions all of the sausages cooked up beautifully. The smells filling my kitchen were immense! Normally this is where the process gets simple. We typically find one sausage we all don’t really like. Of the remaining two varieties we normally end up having a discussion, some more tasting and then we reach agreement. Not so with Beccle’s finest! This was challenging. 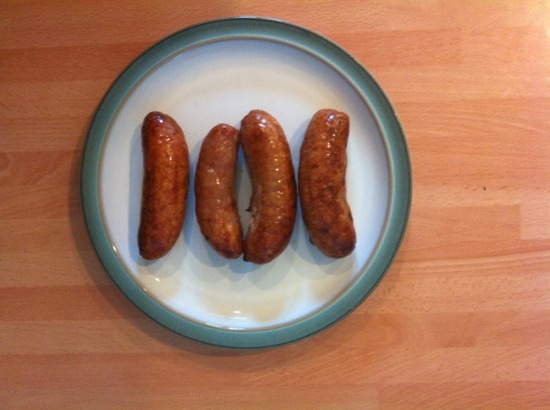 Three sausage shops, three sausages of excellent quality, well made and tasting amazing. We tried the sausages on their own, we tried them in a sandwich, we tried them with sauces and relishes. Still no leader on any aspect! Luckily we put half of the sausages from each of the butchers in the freezer so at some point soon we will revisit these again and try and come up with the winner. 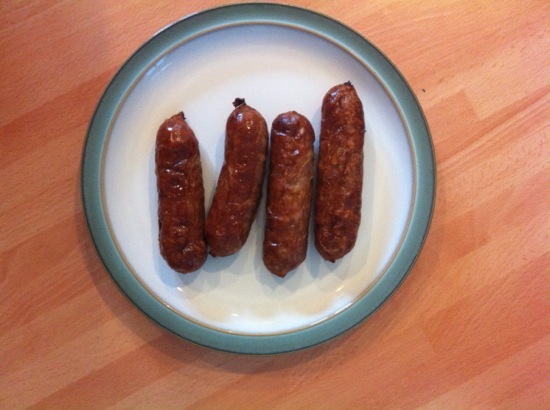 I would love to know your views on the sausages of Beccles. I’m a big fan of Seppings, although I now live in Brockdish I still travel back to Beccles to get my sausages. They also supply low fat which my partner prefers, me though I prefer the full fat versions!! 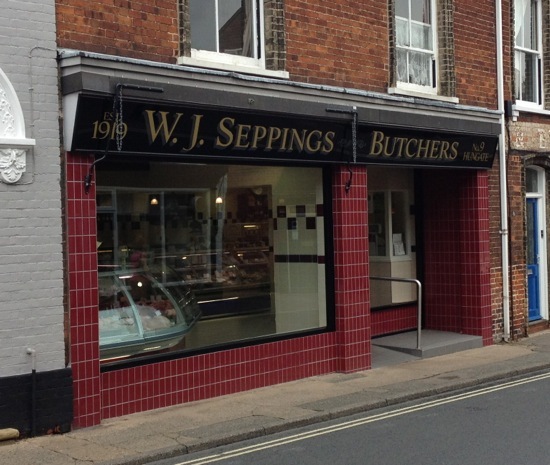 I have always loved Seppings sausages and although we live in Plymouth now my father Ron who lived in Beccles used to bring a couple of kg sausages down to us and we would give him best devon cod and ling in exchange. Our last visit earlier this year we bought all sausages available. We are coming up for Xmas this year and have already booked our 2kg Seppings sausages for collection. Also, how good is it to know they are not handling money which has been contaminated by everybody. Good on you Seppings, keep it up.